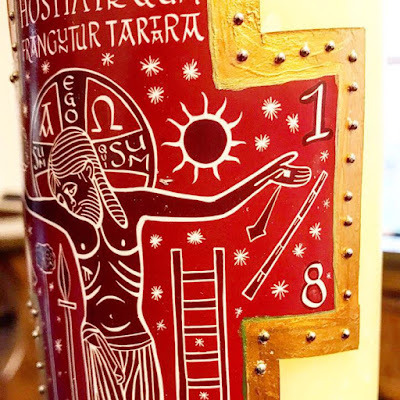 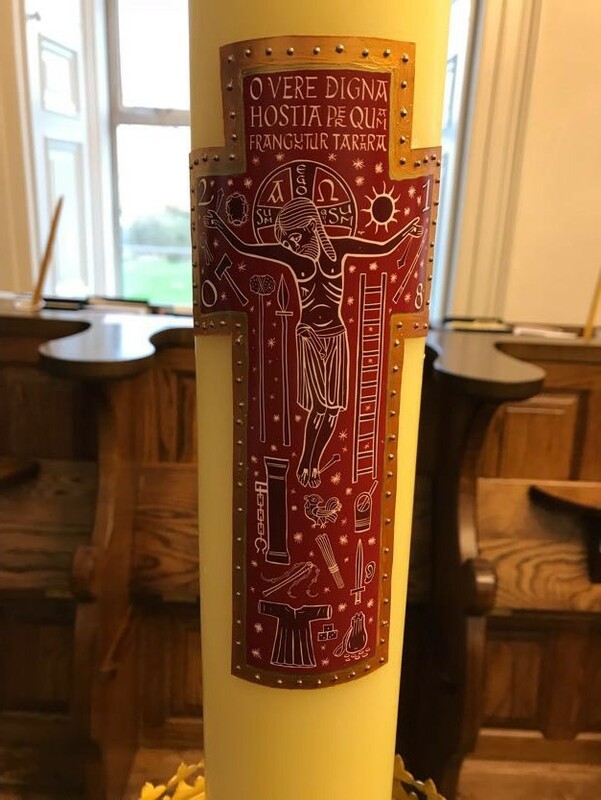 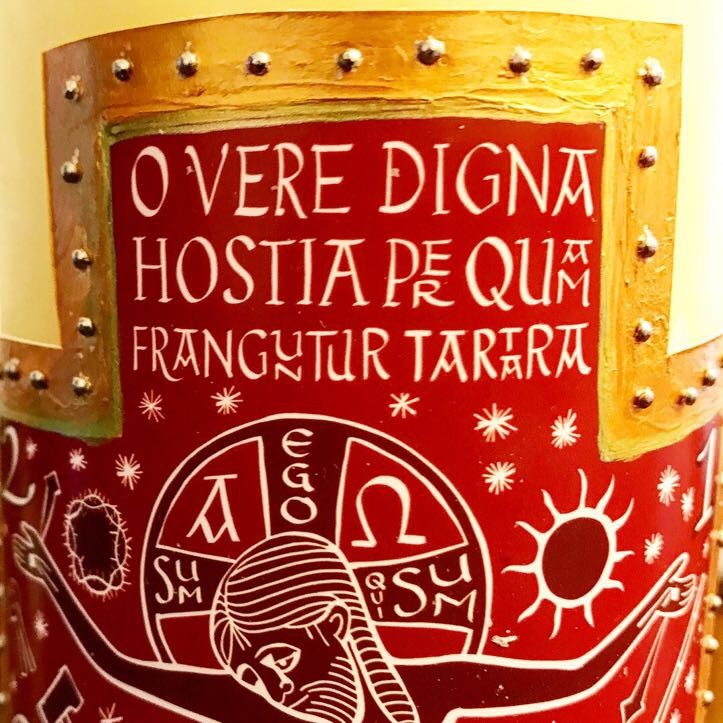 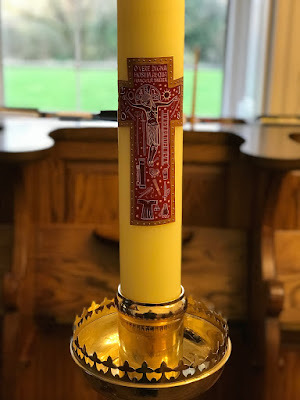 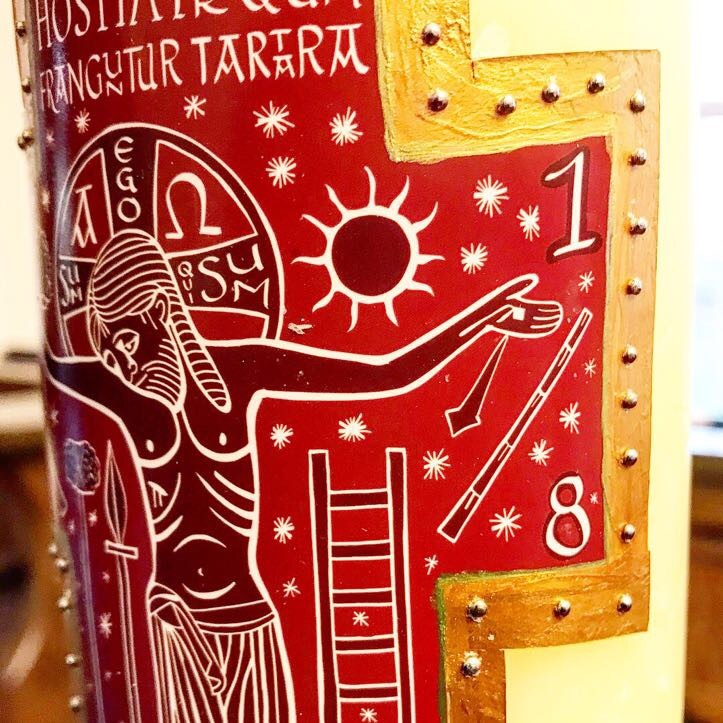 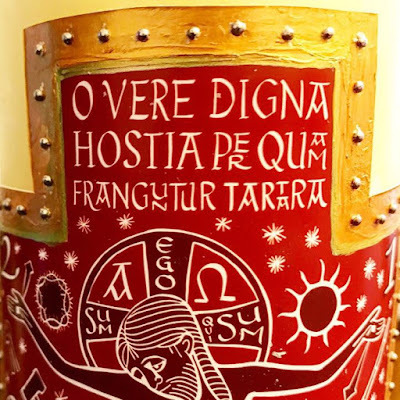 The decoration of the Paschal candle for 2018 at Silverstream Monastery was the work of the community’s subprior, Dom Benedict Maria Andersen, whose typographical work we have featured before. 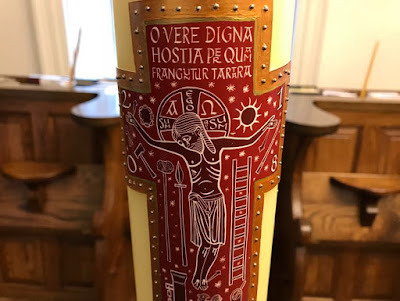 Dom Benedict took his inspiration from an authentic Irish penal crucifix in the possession of a friend of the monastery. 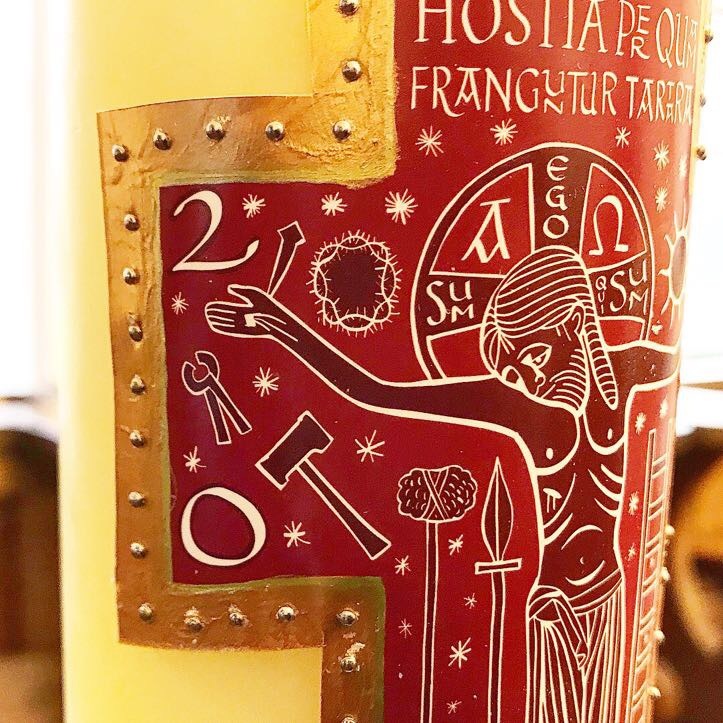 The penal crucifix, which was loaned to the monastery for all to admire and venerate, dates from the 1700s. 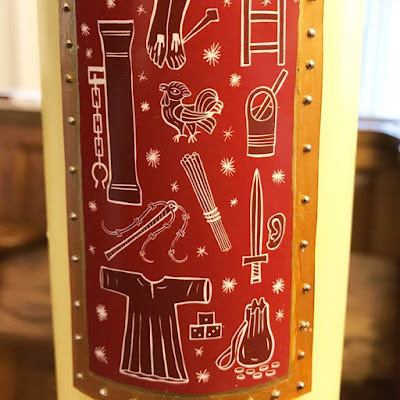 This is a splendid example of the kind of customized work that we need to see flourish once again in local communities, be they religious houses, parishes, or school chapels. It is refreshing and inspiring to see something that is made by hand, made for only one place, and offered up for only one year. 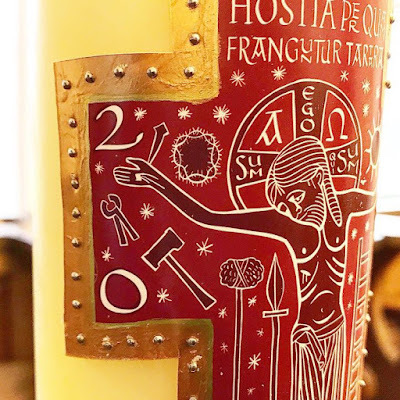 Hand-decorated candles are returning slowly, following in the wake of better vestments and works of all sorts in recent years. May the renewal of fine arts in the service of the Church find more and more success.